Good news! Your noisy adhesion test data may not be due to a poor test. 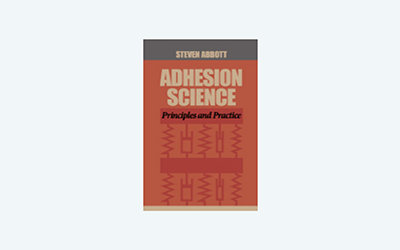 Adhesion tends to create a type of variablity that is NOT "normal" - i.e. it does not fall under the usual bell-shaped curve where our standard statistics (or even common sense) work well. The real statistics need to be analysed via the Weibull approach. I can't pretend Weibull is easy, nor is the the app itself super friendly. The aim is not to make us all Weibull experts, but to get a feel for what is involved. If you actually need a Weibull analysis, then your standard stats package should be able to cope. The upside? You get a chance to do a log(log)-log plot! All testing is subject to noise, so practical formulators are at ease with the idea that some number of repeats should be made for each test and some sensible average should be taken as the overall measure of that test. Adhesion tests provide a disquieting amount of variability and the formulator’s instincts about taking an average from the tests often don’t do a good job. This is not the formulator’s fault. In many aspects of testing we can reasonably assume that errors are “normal”, i.e. they cluster around a Gaussian normal distribution. With such an assumption, even a crude average of the results isn’t a bad approximation. It seems to be the case that adhesion is anything but “normal”. In fact, adhesion tests tend to behave according to Weibull statistics. This means, unfortunately, that the scatter tends to be wide and that no simplistic averaging can provide the right answer. What these mean are shown when you change α and β and the calculated distribution and cumulative lines are shown along with the experimental points. But what is the x axis? The starting point is the raw data of adhesion numbers from a given test. The app assumes that you have "binned" the raw data into 10 bins which you enter manually as integers. The experimental distribution is shown, along with the cumulative distribution. The Weibull calculated curves are also provided. You match these to experimental values by varying α and β till the fit is satisfactory. The famous Ln.Ln(Ln) plot ("Weibull plot") should be a straight line from which α and β can be calculated. Because α and β are inputs, the straight line shown is derived from those inputs and provides another way to assess the accuracy of the fit. The Mean (βΓ(1+1/α)) and Variance (complicated) are calculated from α and β via Gamma functions. This may not make much sense at first. The key is to try it out on your own scattered test data. Just put the values into bins, see how "un-normal" (i.e. non-Gaussian) they are then try to fit them via α and β to get a good-enough match between the the actual and cumulative values.